This Saturday 11/17/18 from 930am to 11am I will be teaching classes at Zhong Yi Kung Fu School. 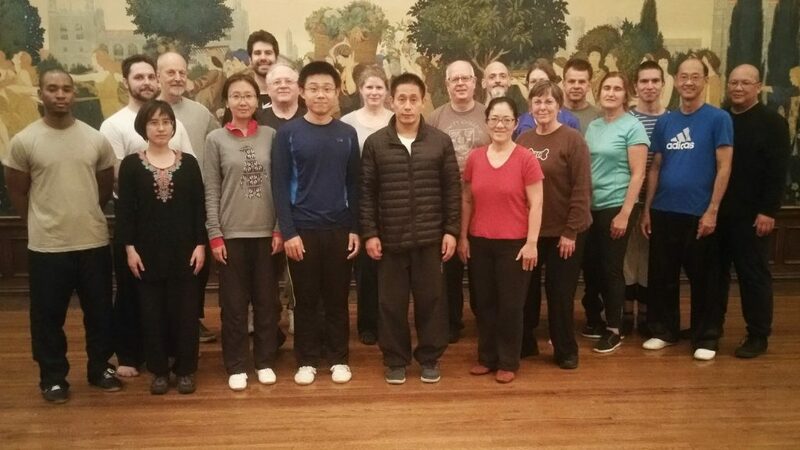 The ZYKFA is excited to announce that starting on Saturday 11/17 from 9:30 am to 11:00 am, Shifu Khiang Seow will be teaching Chen Style Taijiquan (Tai Chi) classes at our school! The classes will be held once a week (Saturdays 9:30 am to 11:00 am) and will be free of charge to ZYKFA members (non-members can attend the classes for $40.00 a month). I am sad that I will no longer be able to get my corrections from this fine teacher in US. For the last decade or so, Grandmaster Chen Xiao Xing has been giving me pointers, making corrections and sharing stories from the village. If it wasn’t for him (and his son Chen Zi Qiang) my taijiquan will not have gotten to this level. Every move I make, I can still hear his voice, feel his touch and also that look when I make a mistake or ask a silly question. I’ve been complimented and I’ve been scolded. I would not ask for anything less. I will have to sought him out in Chen village now for that’s where he will be after this year’s tour outside China. A wonderful, four-part documentary produced by CCTV (China national television), was just released, showing the impact Chen Taijiquan has had on New Yorkers. The program focuses on students of Ren Guangyi, whose lives have been impacted by Taijiquan training. 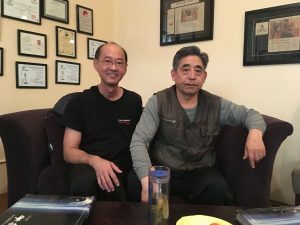 Its a unique testament to Taijiquan’s power as cultural exchange and to its universal benefit. An excellent write-up on what training is like in Chen Village. Reminded me of my retreat in 2010 with Chen Xiao Xing. OMG! I learned so much from Chen Ziqiang about pushing hands over the weekend. I have been so fortunate to meet Zi Qiang and his father for they have imparted so much knowledge about Chen Style taijiquan to me. Every time I have a workshop with them, I learn something new that will change my form and my practice and every time, it is for the better. I don’t want this learning to ever stop. Ziqiang is such a generous teacher. This is great translation by Paul Brennan. I have always thought that the “White Crane” reference was something introduced by Yang Lu Chan when he taught in Beijing but I may be wrong. Chen Ziming used that reference as well although his teacher was Chen Xin and Chen Xin’s original writing has it as “White Goose”. This translation was also reference by David Gaffney in his article on Taijiquan “Placing Hands”.